Meet your 2018 VBMA board. We are happy to answer any and all questions you may have. Dr. Rick DeBowes is our club advisor. He graduated from the Illinois College of Veterinary Medicine. He completed an internship and residency at WSU and is a board certified equine surgeon. Dr. DeBowes' veterinary interests include equine general and orthopedic surgery, lameness diagnosis, and joint biology. Dr. DeBowes' administrative interests include faculty and program development, fundraising, and the promotion of nontechnical competencies (life skills), medical communications and personal/servant leadership. He teaches and coordinates the practice management course (VM 591). He also is a motivational speaker and conducts programing for team building and communications. He was instrumental in the development of COLE and co-founded VLE with Dr. Kathy Ruby. As President, Jackie is enjoying her second year as a VBMA Officer and she continues to be amazed by the opportunities available through this organization! Jackie is grateful to be a part of it, and to contribute in keeping it great. Jackie says, please feel free to talk to her if you ever want to chat about club opportunities or if you have general questions. She is also well versed in conversations regarding cooking food, eating food, yoga, talking about how great cats are, backpacking and pretty much anything outdoors. If we haven’t met yet, let’s fix that! Brooke graduated from WSU with a degree in Entrepreneurship and is excited to incorporate her business passion with veterinary medicine. She aspires to own a mixed animal practice someday. Her hobbies include backpacking, hiking, rowing, knitting, and traveling around the Pacific Northwest. Chris has a B.S. in Animal Science with a minor in Chemistry from Oregon State University where he competed in the NCAA Division I men's wrestling program. While at Oregon State, Chris took six months off to complete an internship for Silvies Valley Ranch; one of the largest beef cattle and meat goat ranches in the state of Oregon. Chris has an extreme passion for veterinary business management and aspires to be an owner of multiple veterinary practices in the future. In the field of veterinary medicine, Chris is extremely passionate about soft tissue surgery and aspires to be a surgeon. Outside of veterinary medicine, Chris spends his time fly fishing, mountain biking, working out, restoring MOPAR muscle cars, and hanging out with friends! Jordan is a second year here at WSU, and one of the Montana students! Jordan is blessed with the opportunity to be on the WSU VBMA officer board this year. Jordan looks forward to all the networking he will be doing with his colleagues here at WSU as well as other people in the profession. Being from Montana he has a strong background in mixed animal veterinary medicine. 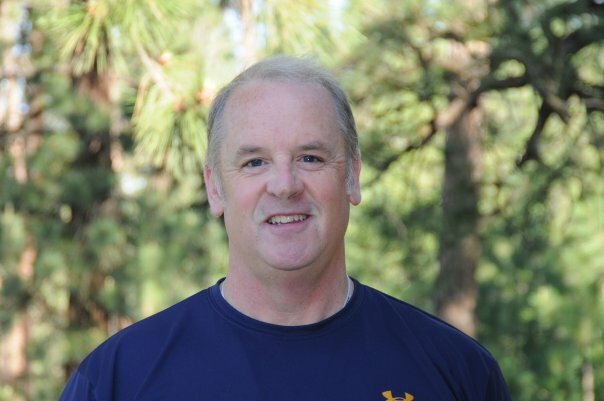 Most of his experience is from working at a mixed animal clinic in Lewistown, Montana along with helping care for the cattle on the family ranch. Jordan enjoys being outdoors whether it is working with cattle, hiking, or enjoying a fire on a summer night. His other hobbies include photography and wood working (I built a canoe!). Business has always been incredibly important to Garrett's personal development and choice in a future career as a veterinarian. Ever since his brother and him started selling Kettle Corn out of a espresso trailer in high school so they didn’t have to get “real jobs,” Garrett realized the power of entrepreneurship and creating a good business model. He loves almost every form of outdoor recreation and look forward to returning to Montana after graduation. In his spare time here in Pullman he enjoy running and pulling on “push” doors. Lillian is excited to continue to network with students and practitioners for her second year on the VBMA officer board as Public Relations Officer. Lillian has a passion for integrative medicine and plans to own an integrative practice in SW Idaho where she will bring well-rounded, custom care to her future clientele. Lillian is also Fear Free Certified and licensed for Raptor Rehabilitation in SW Idaho, both of which she will incorporate into her future career. In her free time, Lillian enjoys yoga, playing the tuba, and doing just about anything outdoors. Prior to veterinary school, Kim completed her B.S. in Animal Sciences at Cornell University and worked for a bit in the pageant and NYC fashion industry. 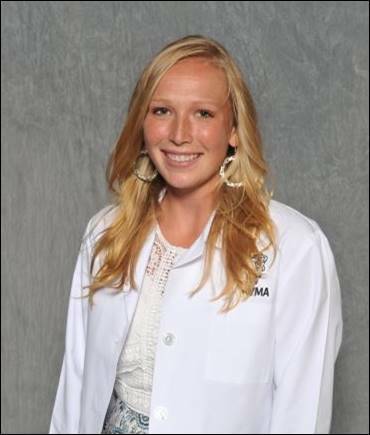 After graduation, she interned abroad in North Africa and pursued interests in international veterinary public health and zoonotic disease transmission. She hopes to integrate business concepts with her passion for public health and aspires to a career within the CDC, OIE, WHO or other similar organizations. When vet school allows for free time, Kim enjoys learning French, working out, eating cupcakes, gardening, and hanging out with family and friends! Hannah is originally from Helena, MT where she grew up riding horses. These days her sights are set on owning her own mixed large animal practice. She is particularly interested in preventative, reproductive and performance medicine of horses and dairy cattle. She loves being in VBMA and helping our students in Logan and Bozeman take advantage of all our great club has to offer! Update WSU VBMA Board of new ideas, issues, or event ideas. Manage RSVPs, collect dues, coordinate food and rooms for events. Mariah is from Pony, Montana and hopes to be a large animal vet in rural Montana. She is excited to be a VBMA officer to gain experience and knowledge in the business world, as well as serve and help others do the same. In her free time, she loves to be doing anything outdoors, including running, rock climbing, and backpacking. 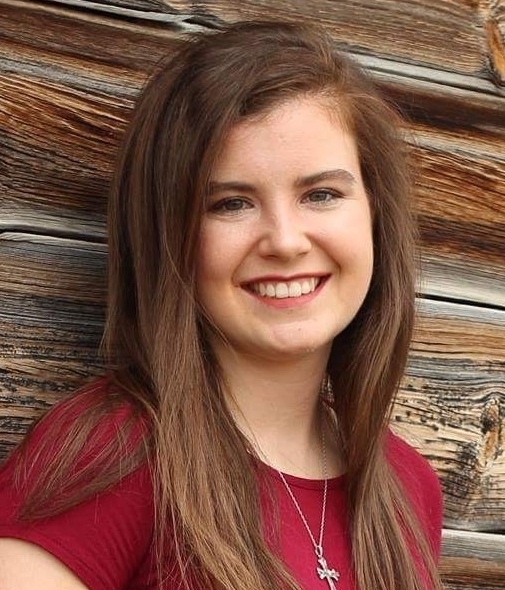 Shelbey is from Circle, MT and is passionate about the food animal industry and theriogenology. She is excited for the networking associated with VBMA and the opportunity to gain practical business knowledge to (hopefully) utilize in a rural MT setting as a veterinarian in a mixed animal practice. Shelby is the USU VBMA Senior Representative. She is from Salt Lake City, Utah and grew up playing softball. She is interested in small animals and exotics. She joined VBMA, because they really prepare you to one day own your own practice and understand loans.